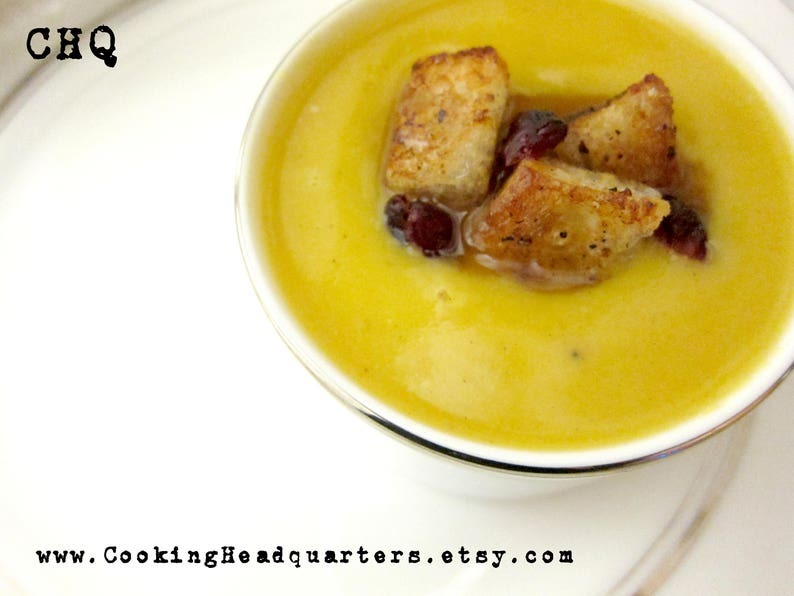 Creamy butternut squash soup recipe with an addicting touch of spice! Makes a great healthy appetizer or satisfying meal and is a delicious way to eat more super foods! 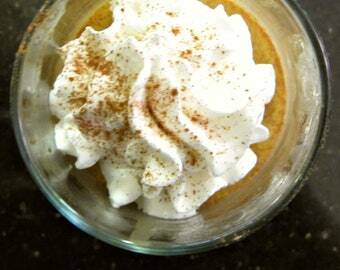 Easy to follow recipe with step-by-step directions. This is a digital file for our recipe that includes easy to follow directions and a photo of the finished dish. Thank you for visiting our shop! Our recipes come from passion and years of experience in a professional kitchen. We are happy to share our favorite recipes with you and hope you enjoy them as much as we do. Save 20% off orders $10 or more. Use coupon code HappyEating at checkout. Looking for a specific recipe? We will make one for you! Please convo us and we will set up a custom order for you. Great recipe. Looking forward to making this! Thank you! This looks so good, and super simple to make. Can't wait until I have a chance to make it.